Home » Religion » Prophet Bushiri takes ECG to global spotlight heights as he launches its main USA branch in D.C.
Prophet Bushiri takes ECG to global spotlight heights as he launches its main USA branch in D.C.
WASHINGTON D.C. -(MaraviPost) – Prophet Shepherd Bushiri ‪on Wednesday night‬, made another giant leap in the history of his ministry when he officially launched the ECG church’s branch in United States of America (USA). This adds to the growing number of countries that ECG has planted churches, including countries in Africa, Asia, Europe and the oceanic Australia. 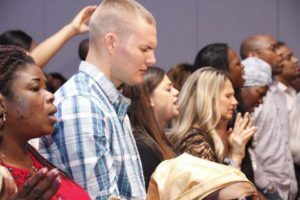 The launch of Christian Gathering (ECG) America branch, represents yet another milestone in the life of Prophet Bushiri’s ministries, which is not a decade old yet. To Prophet Bushiri, the launch that was attended by thousands of Christians from across the United States, is only a testimony of God’s amazing power and presence in people’s lives. “God showed me when I was only nine years old that I will preach the gospel to various corners of the globe. 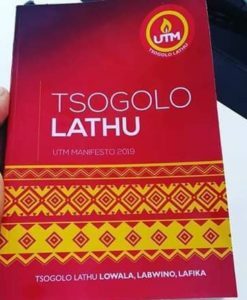 What is happening today, is just a continuation of acts which its script was written and given to me by God when I was nine,” the Prophet testified before the large gathering in the US capital, Washington D.C. The launch, which was part of the two day Prophetic Conference in Washington, was spiritually charged from start to finish, as organizers reported massive registered inquiries from eager believers in the tens of thousands from all corners of the United States. Thousands gave their lives to Christ during the altar call; and many more were delivered from various infirmities. After launching ECG Washington, D.C. 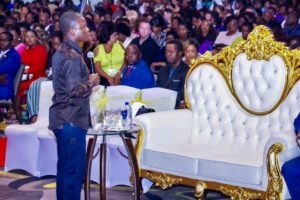 Branch, Prophet Bushiri informed the congregants that the next step will be the launch of ECG branches in New York and later in Atlanta. Established five years ago in the city of Mzuzu in Malawi by Prophet Bushiri, ECG is currently headquartered in the prestigious suburbs of Pretoria in South Africa. ECG is one of the world’s phenomenal ministries with a global following, so far, of not less than 3 million people.